FRANCE: Just under a quarter of the available capacity was awarded in the country's latest onshore tender. Of the 500MW available in France’s onshore wind auction, just 118MW was awarded to developers. Canadian developer Boralex, Belgian company Elicio, global renewable energy firm RES, and Engie Green, the clean energy arm of the French utility, won capacity in the undersubscribed tender. Nine projects with a combined capacity of 216MW were submitted and declared eligible, while one project was declared ineligible for tender. The average tariff is currently unknown. 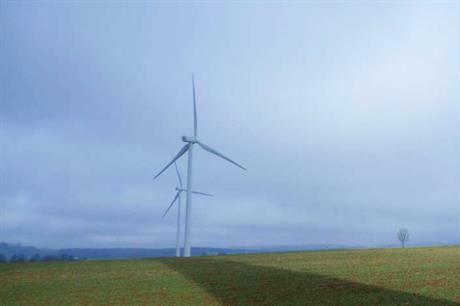 Successful wind farms in the most recent tender must be built within the next 36 months, and commissioned before September 2021.
and Engie won 13.8MW in Grand-Est. Permitting delays have prevented developers from entering France’s onshore tenders. At least 3GW of French wind farms are currently unable to secure permits — to date, a requirement of auction participation — and up to 2GW of projects are at risk of cancellation, following a court decision in December 2017 that overturned the country’s environmental permitting system. In May 2017, France launched plans to tender up to 3GW of onshore wind by June 2020, with six biannual bidding rounds of 500MW each. In the first round, 908MW had been bid and 508MW awarded. The next tender is scheduled for 1 April 2019 for another 500MW.